A study of a brilliant tropical Blue Morpho butterfly which I drew in 10 steps for a lesson in the JumpStart series published by Ann Kullberg. 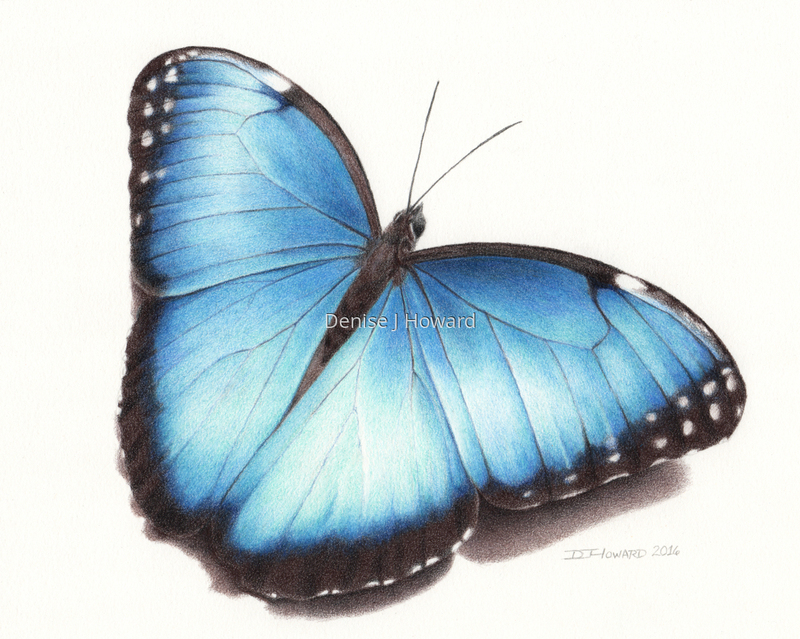 The lesson can be purchased from here: http://annkullberg.com/collections/jumpstart/products/copy-of-jumpstart-level-1-blue-butterfly-in-colored-pencil Colored pencil on Stonehenge paper. 5" x 6.25"8" x 10"